2nd Patient Safety Congress: Making Patient Safety Work! The College of Pharmacy: serving through transformative education and translational research. Excellence in pharmacy, from science to practice. Welcome to the University of the Philippines College of Pharmacy (UPCP) website. Thank you for visiting us to know more about the College. UPCP had its beginnings as a logical outgrowth of the course in pharmacy instituted under the College of Liberal Arts on June 5, 1911. The initial curricular offerings were a three-year program leading to the degree of Graduate in Pharmacy (PhG). The School of Pharmacy was established in February 12, 1914 under the administrative control of the College of Medicine with Dr. Andrew Grover Dumez as its first Director. The four-year course leading to the degree of Bachelor of Science in Pharmacy (BSP) was introduced in 1913. And it was in August 14, 1935 that the status of “school” was changed to that of an autonomous College. Since then, may changes have been introduced in the college in its curricular offerings, research and extension services. The College of Pharmacy has produced two national scientists, two PACOP Presidents, three FDA Directors, four PPhA Presidents, and thousands of pharmacists through the years. We have consistently maintained a 100% passing rate in the Pharmacist Licensure Examination. This website provides information on our curricular offerings, admissions process, faculty composition, student services, alumni activities, researches projects, and extension services. We hope that you will find all the information you need in this website. 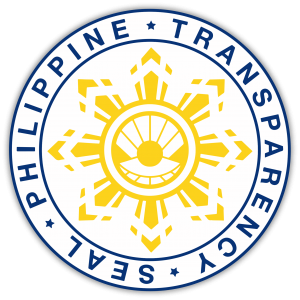 Should there be any lacking information, please do not hesitate to contact us and we will gladly answer your queries. As this site is still a work in progress, we would appreciate your comments so we can improve on our website and make it more functional. Click the button below to have a preview of where donations will go to. 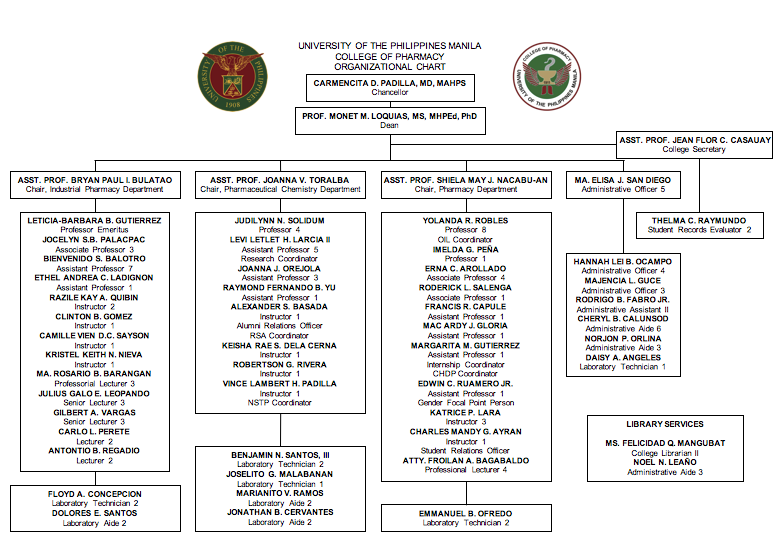 Click the button below to see the organizational structure of our college. For the UPPhA academic and events calendar, please click this link.